We look forward to welcoming you to Riverside Cottages and have prepared this Khao Sok useful information page to help you to maximize the enjoyment and experience of your visit. To make a deposit, please select the amount and click the “Add to Cart” button. This will take you to PayPal. If you do not have a PayPal account, no problem – credit cards are accepted. After clicking on the “Add to Cart” button, click the gray “Check Out” button to pay with a credit card. *NOTE: If you have been asked to make a deposit for a booking then that booking is not confirmed until this deposit has been made here. Below you will find details on how to find us, what to bring, and what to expect when you get here. Check in is from 2:00pm. Check out is anytime before 12:00pm. We have a full service bar and restaurant restaurant open at 7:30am, last order at 8:30pm. Please note that we accept only cash at the hotel, but there is an ATM in the nearby town if you need to make a withdrawal. If you are arriving after 8:30pm, you must inform us ahead of time, or you cannot check in. Important Numbers – From Thailand dial 0-77-395-159, 0-77-310-246, or 0-91-041-5061. From international phones, dial + 66 instead of 0 at the beginning. Be sure to also visit our blog page for expert advice and more useful information about Khao Sok. For more details in Dutch, please have a look at the Backpacken In Azie page about Khao Sok National Park. Khao Sok Riverside Cottages is 2km east of Khao Sok town. A link to a map and directions can be found at the bottom of this page. Please let us know when you plan to arrive. If you would like us to send a private car, we can pick you up anywhere in Southern Thailand – please contact us for details. If you come via public transport, please follow the directions below. Get off at the Khao Sok Bus Stop (this is also where public vans stop). We have a free shuttle, and our driver is often at the bus stop – he will be holding a sign that says Riverside Cottages, along with the names of our sister resorts, Coco Hostel and Riverfront Resort. 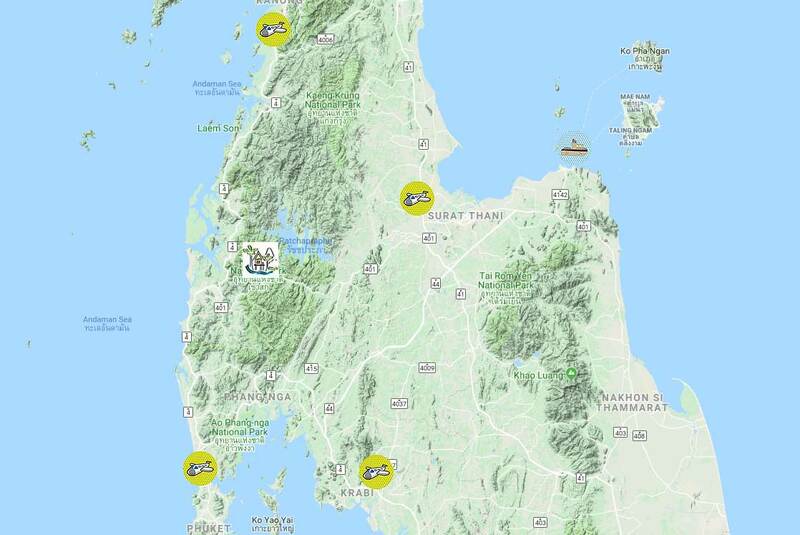 Detailed instructions on how to get here from Phuket, Surat Thani, Bangkok, and many other locations can be found on our Directions page. Please read this page if you need further details – it’s full of useful information and a map – just click on this button. Laundry, international phone, and internet are available. Mobile phones may be used but signal will be weak. All houses have 24-hour electricity, but brown-out or black-outs may occur, usually lasting only a few minutes or at most a few hours. For more details of our facilities please use this button. You can book your activities with us once you get here, or you can book a package in advance. For more details of available Khao Sok tours and activities please use this button. Bring cool and quick-drying clothing, a bathing suit, hat, good walking shoes that you don’t mind getting wet (water shoes are never a bad idea! ), a flashlight, sun protection, personal medicines, and toiletries. Shirts or pants with button pockets best for jungle hikes so you don’t lose things. Wine, beer, raincoats, mosquito repellent, and other necessities are available here. Planning on visiting Cheow Larn Lake? Take a minute to read through our Top Tips for your Lake trip, and come prepared!